Eva Kienle (born 1967) has been with KWS since 2013. As a member of the Executive Board, she is responsible for Finance, Controlling, Global Services, Legal, IT and, since 2014, Human Resources. Ms Kienle completed her training as a bank clerk and studied business administration at the Universities of Reims (France) and Reutlingen, with a focus on financial controlling and international finance. Eva Kienle has about 25 years’ experience in the areas of consumer goods, health care and trade. Employees at KWS think and act like co-entrepreneurs. We encourage them to act autonomously and sustainably. Joining KWS as a Board member. Eva Kienle is responsible for Finance, Controlling, Global Services, Legal, IT and, since 2014, Human Resources. Joins amedes Holding AG, one of the leading companies in medical diagnostic services in Germany and Belgium, as CFO. 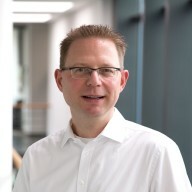 Takes over as Head of Finance at Wal-Mart Germany in Wuppertal. Worked as Managing Director of a shared services company in Bremen. Career start at the Unilever group. Until 2000, she was active in various management positions in Hamburg, Bremen and in Switzerland. "KWS has grown moderately, but steadily in recent years. Sales have increased from just under €400 million in 2002, to more than one billion euros in the past fiscal year. In addition, the number of employees has more than doubled - to about 5,000 - and has significantly internationalised. We want to continue this development, and increase sales by an average of five to ten percent per annum, and achieve an EBIT margin of at least ten percent. At the same time, we remain true to our maxim: to grow profitably, predominantly organically and sustainably - without mergers, and now and then, with suitable acquisitions. We will continue to invest: worldwide in the research and development of new varieties, in new sales structures, in the modernisation and expansion of production facilities, and in the digitisation of relevant business processes." "Against the backdrop of complex political, economic and societal challenges in Germany and the world, KWS has also 'moved into a calm groove' in the past fiscal year. The group is economically healthy. We have a solid financial base that enables us to be well prepared for upcoming investments and to ensure further growth." "KWS will remain an independent, globally operating seed company with German roots, which, thanks to its outstanding products, motivated employees and modern organisation, will grow steadily, but with a sense of proportion, and remain true to its values. This will secure our long-term independence, which differentiates us from our competitors." "To continue to grow, we need highly qualified specialists and managers. Therefore, KWS needs to be well known as an attractive employer and attract a motivated workforce globally. At the same time, we will very much encourage our employees in Germany and abroad. In addition to professional development, the health of our employees and their social commitments are also important to us. We are very pleased that a great many KWS employees are investing time and energy to support, for example, refugees or the socially disadvantaged, as well as cultural and educational initiatives."